Well, here we go! As promised we have set up an easy to use and hassle free website for the purchase of our products through a company called Spreadshirt. Unfortunately Teespring was not the best option for producing these shirts due to their pledging system which also meant that there was a long wait before t-shirts were printed and delivered. This entry was posted in Info and tagged body confidence, Body Gossip, body image, campaign, health, launch, project, self-esteem, spreadshirt, support, t-shirt, wellbeing, wellness, you are amazing on February 25, 2015 by HSP. 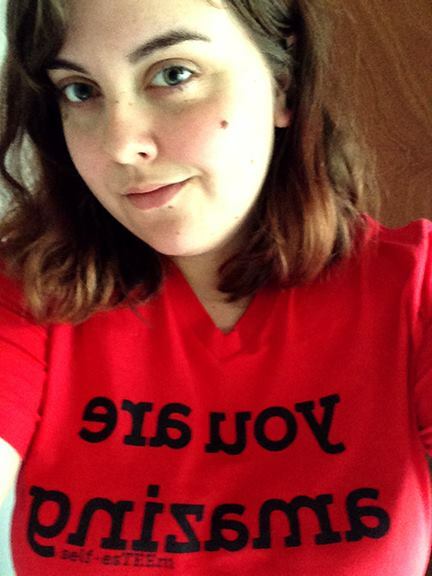 As soon as I saw the self-esTEEm campaign I knew I had to wear one of the shirts. It’s a fantastic idea, and creates a talking point with other people. I don’t even mind them staring at my chest when I know they want to ask “What does that say?” The answer raises a shared smile and most people wish they could wear one themselves, or certainly know someone else they’d like to buy one for. And it’s not to point the finger at another individual’s vulnerability; the intention is to empower. This entry was posted in Esteem1, Testimonial and tagged body confidence, body image, campaign, health, life, self-esteem, support, t-shirt, tee, testimonial, tshirt, wellbeing, wellness on October 31, 2014 by HSP. At some point in my life (but very early on) I decided that I wasn’t ‘enough’ of anything. I wasn’t pretty enough, smart enough, slim enough, creative enough, likeable enough, able enough. These thoughts plagued me throughout my life, taking me down paths I shouldn’t have been on, leading me away from all of the things I’d ever wanted. 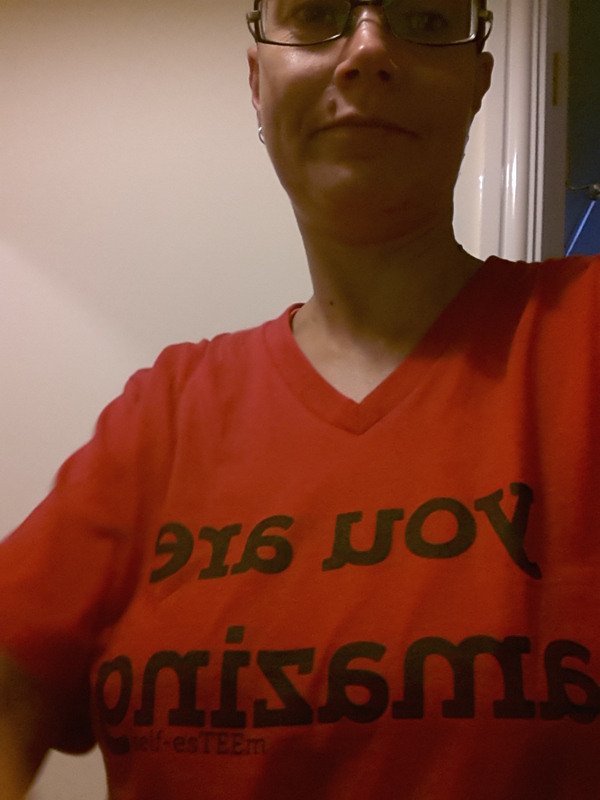 This entry was posted in Esteem1, Testimonial and tagged body confidence, body image, campaign, health, life, self-esteem, support, t-shirt, tee, testimonial, tshirt, wellbeing, wellness, you are amazing on October 7, 2014 by HSP. I’ve suffered from low self-esteem since the age of 13 as a result of bullying while at secondary school. I was never considered “cool” enough at school since I was not wearing the latest trainers nor did I wear the latest fashions. This went on for a couple of years and this was to have a profound impact upon the way I would see myself in the future. 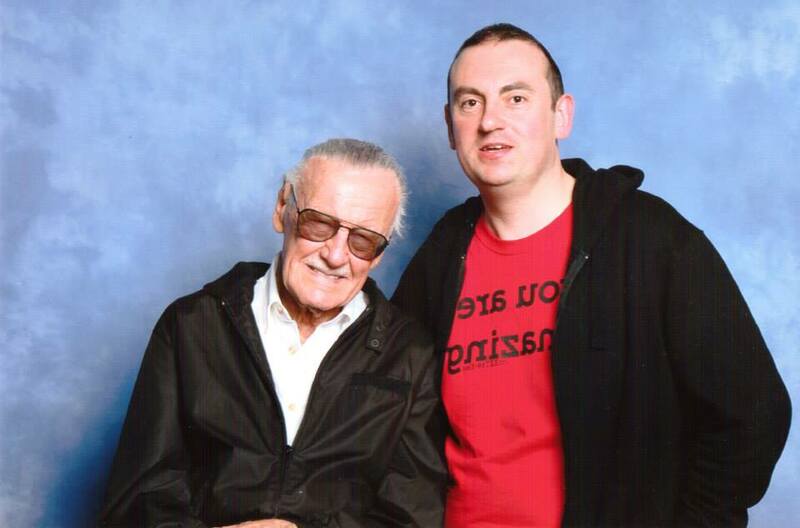 This entry was posted in Testimonial and tagged body confidence, body image, campaign, fitness, health, LFCC, London Film and Comic Convention, news, self-esteem, stan lee, support, t-shirt, testimonial, tshirt, wellbeing, wellness, you are amazing on July 29, 2014 by HSP. This entry was posted in Info and tagged anorexia, body confidence, body image, bulimia, campaign, eating disorder, fitness, health, launch, life, news, project, self-esteem, support, t-shirt, tee, teespring, teespring.com, tshirt, wellbeing, wellness on June 18, 2014 by HSP.